The strength of our team lies in our continuing commitment to excellence. We ensure that every engagement is led by a member of our Senior Management Team. This approach ensures we consistently exceed expectations. WENTWORTH is a multidisciplinary practice offering a complete range of financial and accountancy services. WENTWORTH Budget 2019 Summary highlights the matters we feel are relevant to our private and corporate clients and contacts. 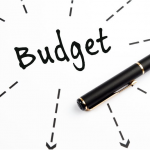 We would be delighted to discuss any queries you may have in relation to the impact Budget 2019 will have on you and your finances, just give us a call on +353 21 421 7470 or email info@wentworth.ie to arrange a meeting with a member of our tax team.